White-gorgeted Flycatcher, Doi Lang, February 19th – one of seven flycatcher species seen at the site. It’s only been accessible to the general public for a few years, but in that time Doi Lang has achieved the status among birders of being possibly northern Thailand’s premier birding location. 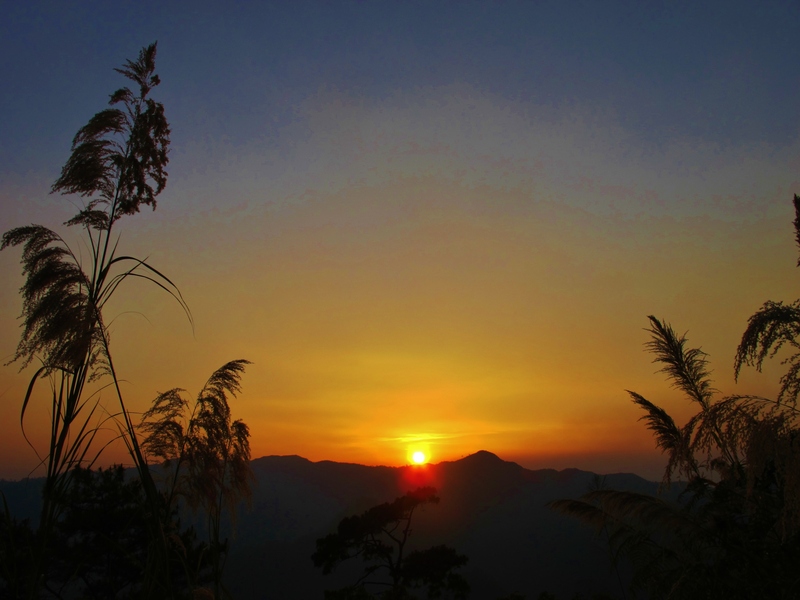 Literally straddling the Myanmar border, about as far north and west as you can go, in winter this mountainous area holds several Himalayan species that are seldom or never found elsewhere in Thailand. It’s a fascinating place, for several reasons. First of all, it’s a true frontier zone, lying in a sensitive area with a disputed border. Chances are, at some points along the road, you are technically in Myanmar. The Thai army strictly controls the road, and at the time of writing it isn’t possible to complete the loop from Fang to Tha Ton because a 5km-long stretch of the road is completely out of bounds. Second, the birding is fantastic, especially early morning and late afternoon. The open pine/oak forest on the western approach road contains all the birds one would expect in such habitat, for example Mrs Hume’s Pheasant, Giant Nuthatch and Grey-headed Parrotbill, with the added bonus of abundant wintering flycatchers and extremely sought-after species such as Himalayan Cutia. Hodgson’s Frogmouth – one roosting in a tree close to the road. Ultramarine Flycatcher – one male. Sapphire Flycatcher – at least one male. Slaty-backed Flycatcher – one male. Large Niltava – one female. Mrs Hume’s Pheasant – one male on road. Mountain Bamboo-Partridge – two on road. Giant Nuthatch – one seen plus others heard. Grey-headed Parrotbill – two flocks. Siberian Rubythroat – two showed well. 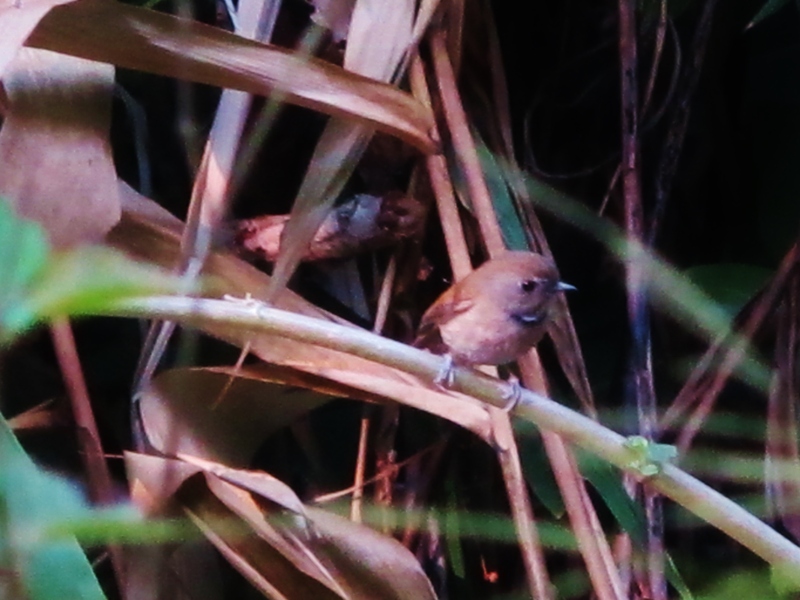 Rufous-backed Sibia – several parties. Chestnut-bellied Rock Thrush – two. Common Rosefinch – one male. Lemon-rumped Warbler – one seen well and heard calling. Bianchi’s Warbler – several seen well and heard calling. Several of the birds – for example, Ultramarine Flycatcher, Hodgson’s Frogmouth, and one of the Siberian Rubythroats – were well staked-out by photographers. The latter bird was coming to mealworms right out in the open, most uncharacteristically for such a skulking species. For me, it was hard to beat the spectacular Himalayan Cutia. This is not only a great-looking bird, but not often seen even here. Several overweight middle-aged bird photographers broke into a run when news reached them of what we were looking at. The icing on the cake was that it was a lifer for me – the Cutias I saw in Vietnam in 2006 have now been classified as a separate species, Vietnamese Cutia. It would be hard to top such a wonderful morning, and so it proved. After lunch in Tha Ton, I attempted to ascend Doi Lang by way of the infrequently-used eastern road. Rainfall here is higher so the habitat differs markedly, and potentially offers some different and highly desirable species. North Thailand Birding gives excellent directions on how to find the road, which runs along the Myanmar border. The army controls the road, and you must fill in a form at the entrance and supply ID – and the road is technically out of bounds between 5pm and 7am. The eastern road is in truly terrible condition, and due to deep potholes and steep gravelly ascents would be impossible to navigate in a saloon car. It pushed my Honda maxi-scooter (and its rider) to the limit. I made it only as far as the concrete bridge before giving up. I saw few birds, but did make an interesting stop on the way back, where I walked a narrow path for several hundred meters into Myanmar. It would have been possible to continue to a hill tribe village, which was flying an unfamilar flag (the Shan state flag? ), but I thought I had better not given the sensitive nature of this border area. I saw an Aberrant Bush-Warbler along here – nice to get the Myanmar list underway with such a quality species. Lifers: Hodgson’s Frogmouth, Himalayan Cutia, Sapphire Flycatcher, Ultramarine Flycatcher, Slaty-backed Flycatcher (total 1,805).